﻿﻿ Star Wars: Jedi Fallen Order Gameplay Details: Lighstabers, Force Powers, And More on Readyforgame.com - Free Online Games! Star Wars Celebration is underway and developer Respawn Entertainment pulled the curtain back on Star Wars: Jedi Fallen Order, a new game based on the beloved sci-fi franchise. While the studio is known for first-person shooters such as Titanfall and Apex Legends, Jedi Fallen Order takes the studio into a new genre: third person action. At the Jedi Fallen Order panel, Respawn co-founder Vince Zampella and game director Stig Asmussen revealed more about how the game will play. Asmussen previously created games at Sony Santa Monica and, most notably, directed God of War 3. He's bringing that action game pedigree to Jedi Fallen Order, with which Respawn aims to deliver the kind of intense lightsaber battles that fans of Star Wars watched play out on movie screens over the course of the series' long and storied history. He described the gameplay as "thoughtful combat" and emphasized that it's not a button-masher. 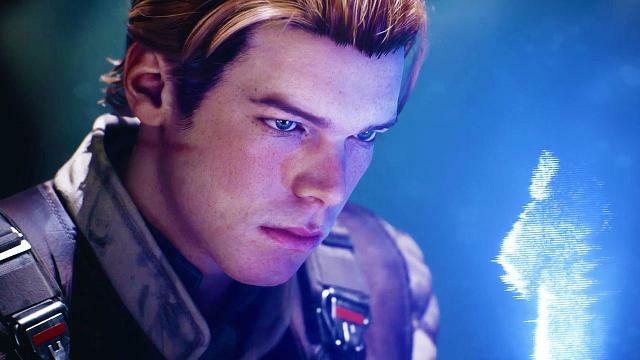 Melee combat will be a big focus of the game, but the main character of Jedi Fallen Order is a Padawan named Cal Kestis; he's Force sensitive and thus capable of utilizing Jedi training to mix lightsaber combos with Force abilities. In addition to combat, players will be able to use traversal and platforming abilities to outmaneuver their opponents, as well as solve puzzles as they journey across the galaxy. One of the interesting things mentioned during the panel is Cal's lightsaber will grow and evolve over the course of the game, as it is a reflection of him. Although further details weren't provided on this, it could be that the weapon is customizable in some form. Jedi Fallen Order follows Kestis as he attempts to complete his Jedi training, which was cut short when the Emperor enacted Order 66 and branded the Jedi traitors, to be wiped from existence. Its set during the Dark Times, when the universe was smothered by evil and thrown into chaos. This period, according to Asmussen, serves both the story and the gameplay well. "Within this narrative, weâ€™ve crafted a game with intense, yet thoughtful and fun melee combat using the lightsaber and Force powers, allowing anyone to fulfill their Jedi fantasy,â€ he said. You can learn more about Star Wars: Jedi Fallen Order's story here. Kestis, meanwhile, may look familiar to some, and you can find out why that is here. Respawn has confirmed Star Wars: Jedi Fallen Order's release date as November 15, and it will be available for PS4, Xbox One, and PC. The next entry in the movie series, Star Wars Episode IX: The Rise of Skywalker, and you can watch the trailer to get a taster of the final chapter in the Skywalker saga. There's also an unexpected villain reveal at the end that you don't want to miss. Check out our Star Wars Celebration hub to stay up-to-date with all the news and fresh reveals from Celebration as they happen.